✻ T u m b l e d S T O N E S ✻ RED-SHEEN OBSIDIAN. Red-Sheen Obsidian enhances meditation and is the perfect crystal for crystal gazing. It brings advantages throughout life and imparts patience and perseverance when required. 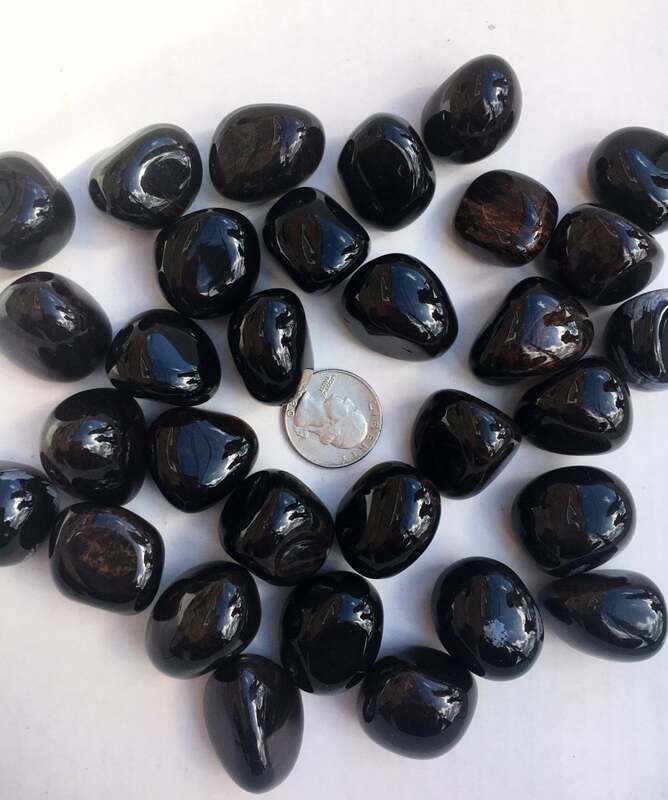 It is a helpful stone when journeying out of the body, as it connects the astral body with the physical body and so brings the soul back into physical incarnation. At the same time, this is a very grounding stone.